If you’ve used schema markup in the past, you might have fumbled around trying to markup your HTML with RDFa or microdata. The main problem with this is that these data types required HTML to exist. JSON-LD is able to accomplish the same thing, but does not require HTML. It can exist in and of itself. In short, JSON-LD can be inserted into your web page without disrupting the current content or HTML. JSON-LD allows search engine crawlers to better understand what a particular entity is about. It is also what all the cool kids in SEO are using. In early 2015, Google announced that it would start recognizing JSON-LD as a structured data type. This was big news within the SEO and webmaster community, being that the other types of structured data were so cumbersome to use at times. JSON-LD still uses the types defined within schema.org but is no longer required to be present within the <body> of an HTML page. While the folks at schema have been working with JSON-LD, it is only recently that Google has opened its arms to the world of JSON-LD. What are the SEO benefits of using JSON-LD? While it is unknown if JSON-LD gives any kind of ranking benefit, we do know that Google recommends it, and uses JSON-LD to enable rich snippets in the Knowledge Graph. Where do I insert this code? It is generally safe to insert JSON-LD code within the <head> of your website, as such this is what we recommend. 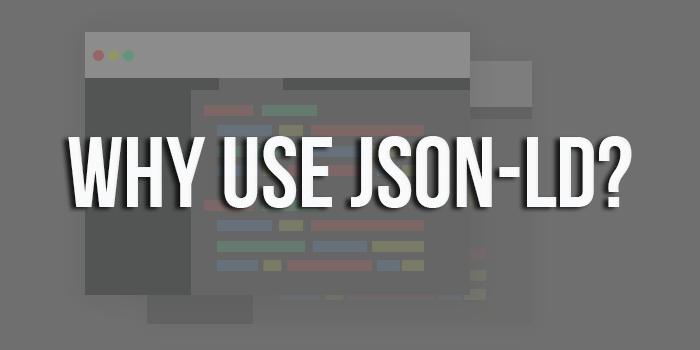 JSON-LD can also be inserted in the <body> of a website, or anywhere else for that matter. We’ve confirmed this by running several structured data verification’s through Google’s testing tool.